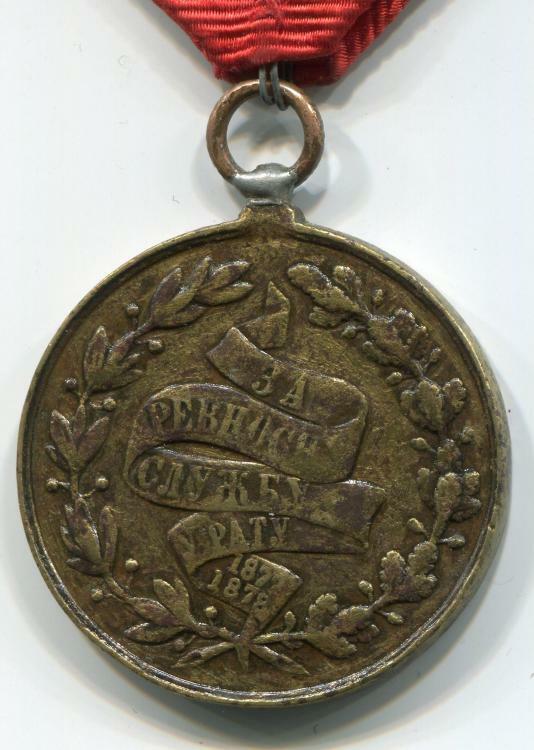 I would like to present one of the rarest Serbian decoration - the gold Medal for Zealous service in the War of 1877-1878. It was intended for the merits in the war (even for those who haven’t participated in the actual war) and was awarded only 69 times. Contrary to that, silver one was awarded 376 times. 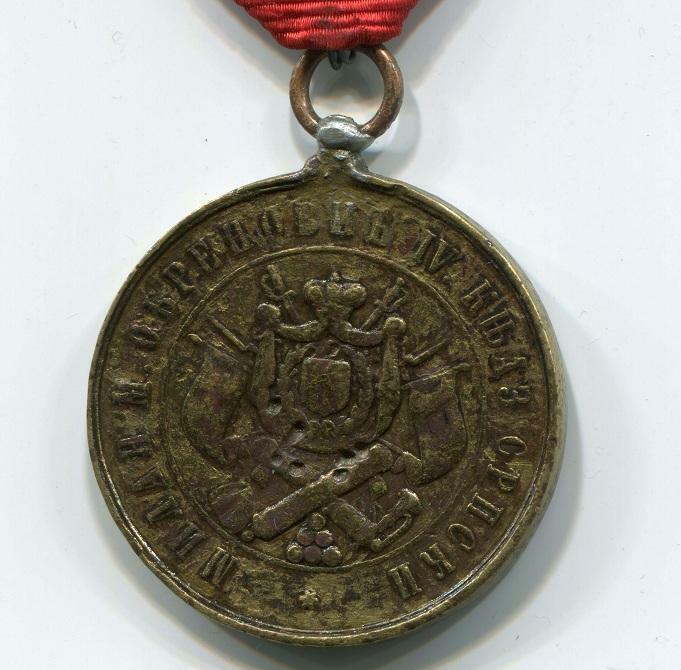 The medal has the diameter of 34 mm. In the obverse there is the coat of arms of the (in that time) Principality of Serbia with the war trophies below and with the inscription: Milan M. Obrenovic IV Prince of Serbia, and on the reverse a stripe with the inscription: za revnosnu sulzbu u ratu 1877-1878 (for the Zealous Servise in the War 1877-1878). The medals were made of brass or bronze. I can’t say that it’s a Holy Grail of Serbian decorations, but it’s a closest I have ever seen. Now I possess all the medals from the Serbian-Turkish war 1876/1878, Gold medal for bravery included. The only thing which puzzles me are the small holes on the obverse of this medal, as there are seven of them, large enough to hold some very tiny stones. As I have mentioned, there were two classes of this medal. Apart from that, there was additional class, a diamond one which was awarded only to the Serbian Foreign Minister Jovan Ristic, as well as to the Serbian minister of War in that time, general Kosta Protic. I cannot say if those tiny holes are proof of that special class or they have been made for some other purpose, but they were placed intentionally to the medal, as they are all of the same size. The pictures will follow soon. Thank you for sharing this nice piece of Serbian history! Very nice medal indeed! As for the holes I dont think they were ment for diamonds, they are randomly placed with no order. The planned holes would be simetrical or circular, IMHO.